Sallie Bynum Anzelmo sits in her backyard garage workspace surrounded by her artwork, all in various stages of completion. 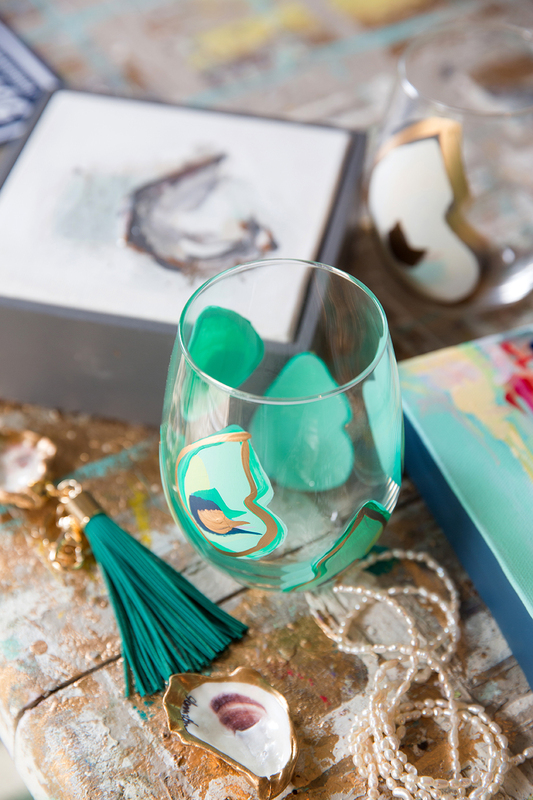 From fully painted glassware sets to empty canvases, the tucked-away studio holds it all. Looking around the garage, it’s hard to imagine it ever could have been used to hold a car. Bynum Anzelmo renovated and transformed the space into her artist’s workshop. She lined the walls with her artwork and painted a striped and fringed rug on the workshop’s floor. Instead of covering the insulation with drywall, she painted it light gray. Now, canvases, glassware, keychains and coasters rest in clear bins, against walls or on shelves. It’s in this space that Bynum Anzelmo creates items she ships all over the country. Bynum Anzelmo grew up in an artistic household, where creativity and art lessons were a regular thing. She studied art in college, and after graduation, she became a grade school art teacher. She taught for about nine years and made artwork her side hustle. This opportunity to experiment alongside young artists pushed her to try more things with her own work. 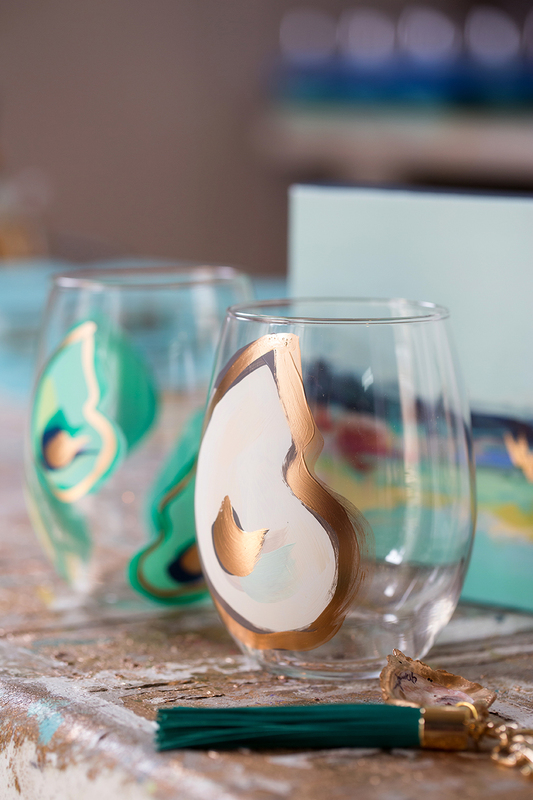 She started with painting canvases, and later, she added glassware designs. As customer demand grew, she added coasters and keychains to her work. 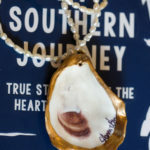 In Louisiana and beyond, Bynum Anzelmo is best known for her work showcasing oysters, part of her Forget the Pearl line. 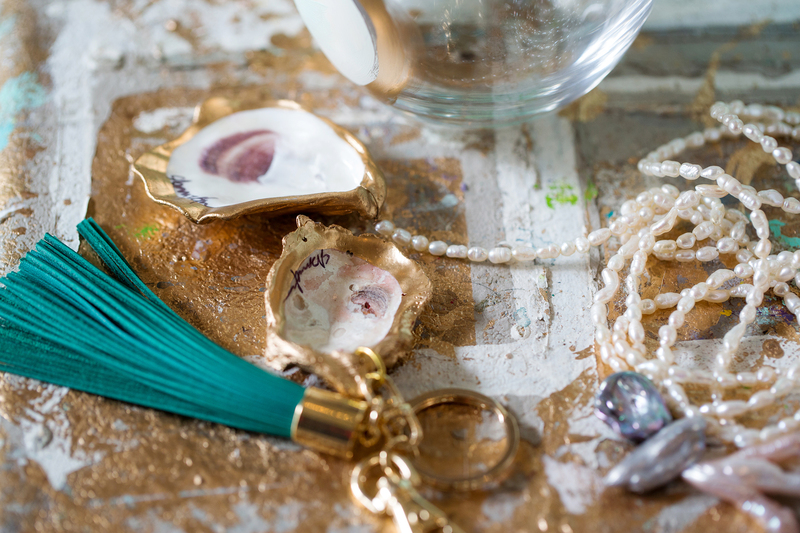 You’ll find real or painted Louisiana oysters on almost all of her pieces. 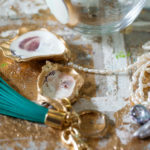 The shellfish inspiration came to her while she was planning her wedding. Her florist decided to use oyster shells in her arrangements, and Bynum Anzelmo was intrigued by the idea. “I just fell in love with them. 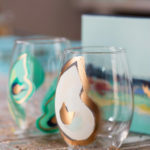 I started painting them, and I added that—which has kind of now become my signature thing—just that little bit of gold trim to the edge,” she says. The moment she knew she could rely financially on her business, she jumped at the chance. That was two years ago, and now, she sells these oyster shells nine-to-five. 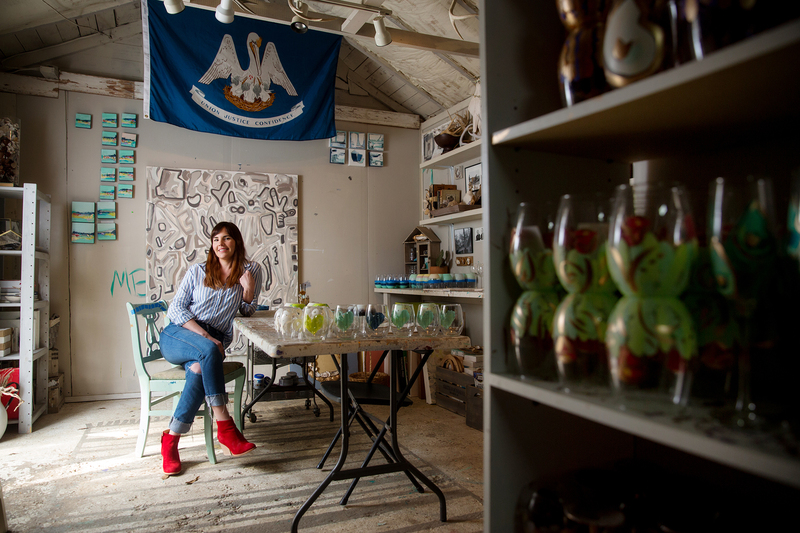 While Bynum Anzelmo says she does most of her business through Etsy or her own website and social media, her work is also sold in several Baton Rouge retail stores, including LD Linens and Decor, Hemline and Paper ’N Things. 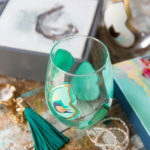 She’s also selling in boutiques along the Gulf Coast, East Coast and—perhaps unexpectedly—Indiana. 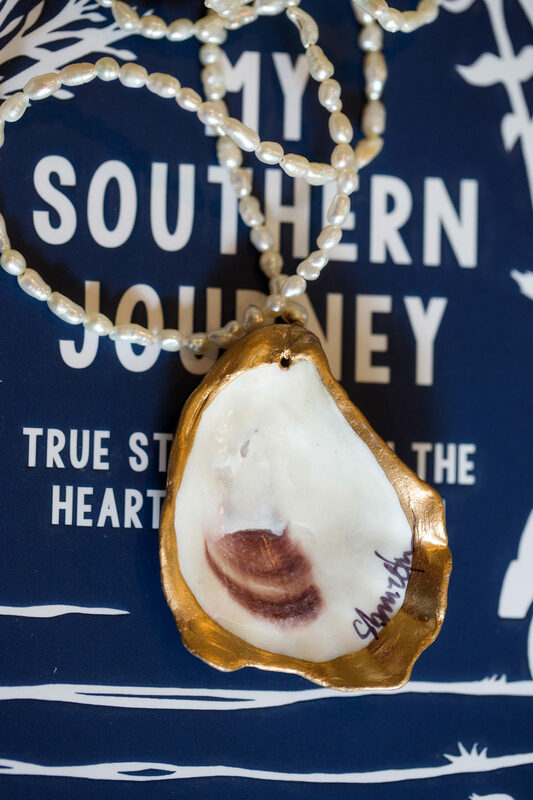 Bynum Anzelmo’s tagline for her products is “Lovingly made in Louisiana,” and she says she’s always surprised when stores or customers outside of the Gulf region order her oyster items. That is, until she realizes the shells are nostalgic for them. For many customers, Bynum Anzelmo’s pieces offer daily reminders of their beloved home state or region.